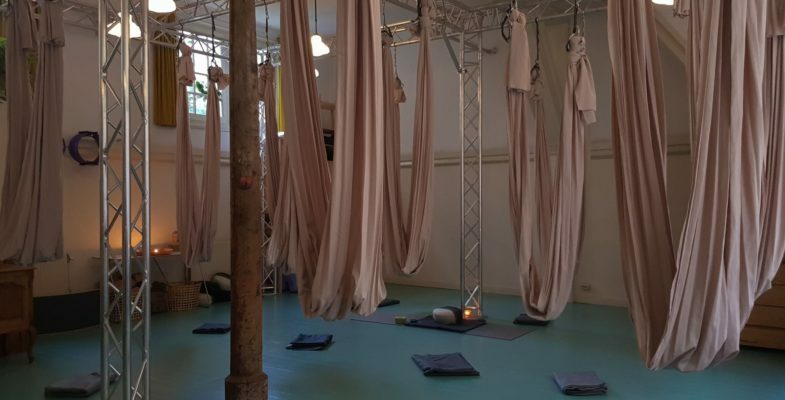 Before you start King’s Day celebrations, come enjoy the ultimate relaxation during our Aerial Yoga Nidra session! In Yoga Nidra you enjoy a guided meditation. Nidra means sleep. By letting the body be still we allow it to get to a sleeping state. The voice guiding you will let your mind balance on that edge between sleep and awake, while awareness moves gradually on a journey through your physical body and to the more subtler dimensions of the breath and mind. Limited spots available, reserve your spot HERE.